I've been dreaming about this kind of e-course for months because a beautiful, interesting home environment is something everyone should feel capable creating. 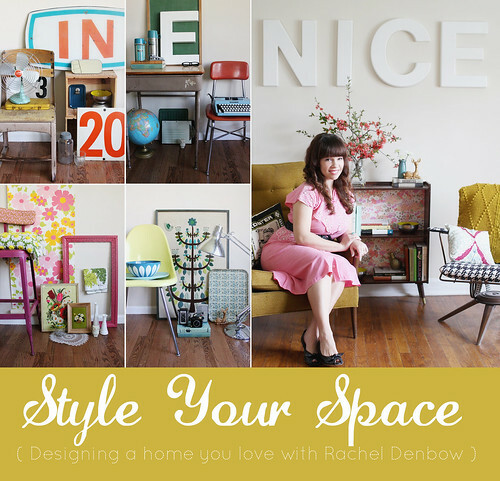 Style Your Space is everything I've learned about home decor in the last four plus years of studying design blogs, pouring over house tours, figuring out our interior style, gathering some fantastic vintage, and arranging it to work in two different floor plans. Style Your Space is for anyone looking to realize their interior style, frustrated with their current set up, or needing a little direction on how to pull it all together. 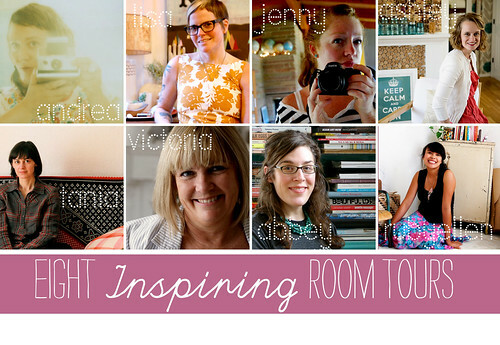 I'm thrilled to have eight women with knock-out homes of their own sharing room tours and discussing their biggest design challenges and styling tricks. They've each influenced my style in some way over the last four years which makes this collaboration even more special! Full details with a table of contents will be shared on Monday, April 11th when the course goes on sale that evening. It's been a labor of love and I'm so excited that it'll soon be ready to share! Oo, this could not come at a more perfect time! this just sounds great! i can't wait to hear more about it! oh man im so excited about this one!! This sound so exciting, im just about to start some rooms in my house!! YES PLEASE! perfecto lady! thanks! Oh my gosh, what an awesome idea!! Can't wait to start! It is like you have been listening to all my whingeing for the past week! I am in desperate need of a house makeover and have just been complaining about how boring our house is. Since we rent it is hard to decorate but this course would be just the inspiration I need! you are amazing my dear!!! This sounds like just the thing I have been looking for. Can't wait to find out more! great idea for an e-course! i like my house but sometimes I feel like it's not as "me" as it could be and I've been kind of stumped on how to fix that. Oh yaaay!! So stoked - good timing! Thanks so much, can't wait! oh my! I can hardly wait. This is something I want to do since my inspiration for decorating my home is always overwhelming that I dont know where to start and i just end up with tons of pretty things piling up! I can never make up my mind on where to put things! that is so oh so cute! :) I love interior design and I could sure use some more inspiration for my apartment! This is very exciting. I love E-Courses and this one sounds like something special. this will be so much fun!! seriously excited about this one!! YESSSSSSS. I am so excited for this! what a great group of ladies you've assembled for this e-course! !